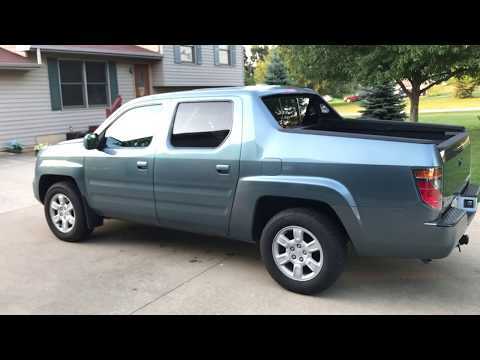 2006 Honda ridgeline! Such an amazing vehicle. I currently own a 2006 Honda ridgeline. I believe this car is absolutely amazing! I have had no major complications with it whatsoever. It has tons of storage departments including the bed of the truck actually has a department that opens up and you can store tons of stuff there! It also holds the spare tire but somehow still leaves plenty of room! This also has a waterproof seal so nothing will become wet in that compartment. There are many places inside the cab where you can store things. It has many amazing features including steering wheel buttons! And heated seats ( if leather ). This car has great pick up and go! I would most definitely recommend this vehicle for anyone who wants a truck, but not too big of one, but also needs lots of space for storage. The Honda ridgeline is a super safe vehicle and works great if you have kids. Honda ridgeline is a great all around vehicle. It is dependable and safe. The Honda ridgeline is the best vehicle I have owned. It has over 220, 009 miles on it and the only thing I have had to fix is the timing belt. It drives great and is excellent in snow as well. It is one tough truck! The interior is nice and comfortable. It has a lot of room. I really love having a trunk. Most trucks do not have a trunk that you can put things in and lock it. Overall I would rate the Honda ridgeline an a 9 out of 10. I used to have a Ford Sport Trac. Ugh! It was a lemon! Ford could never "fix" anything wrong with it. It was the first truck I ever owned. I got rid of it and bought the Honda Ridgeline. What a great truck. It's easy, smooth driving. It has a back seat that feels like you are in a car -very comfortable. It also has a trunk in the bed. It's great! I love this truck!